The top online gaming software company, Microgaming casino offers a huge number of games. All of them have first-class quality and advanced features. Nonetheless some of the games stand out of the others. They are extremely popular with players and do not lose their popularity for many years. Most of these games are progressive. Microgaming was the first of the software companies to launch the progressive games. In 1998 Cash Splash progressive games appeared in online casinos. Since then this progressive slot has paid over $4 million. The next legendary slot with the progressive jackpot is Major Millions. Today three games – Major Millions 3 reel, Major Millions 5 reel and Major Millions Mega Spin are joined in one jackpot. The largest ever jackpot hit reached £1,801,600. This game made about 10 players millionaires! An average jackpot is over $535,000 and hit every two months. The third game that attracts millions of players is King Cashalot. This exciting slot has 5 reels, 9 pay lines and several bonus features. The biggest jackpot was $1,987,698. King Cashalot is hit about twice a year and reaches over $560,000 on average. The game that opened a new landmark in the online gambling history is Mega Moolah. This slot was launched in 2006 and since then 18 players became millionaires. Mega Moolah offers four tiered progressive jackpots – Mega, Major, Minor and Mini. Mega Moolah jackpot starts at $1 million, Major at $100,000, Minor at $100 and Mini jackpot at $10. The jackpot that made history was hit in 2009 and reached €6,374,434! After such a big success, Microgaming decided to increase the collection of Mega Moolah games. And in 2009 three games one by one were added. Nowadays 5 fantastic games are connected in one Mega Moolah progressive jackpot. Besides the original Mega Moolah they are Mega Moolah 5 Reel Drive, Mega Moolah Summertime, Mega Moolah Isis, and the recently launched Dark Knight slot. The Dark Knight is based on the Hollywood blockbuster and has 5 reels, 243 ways to win. Besides the progressive jackpot, this new generation video slot offers stacked wilds, multipliers, scatter payouts and free spins. Batman or Joker can appear anytime on-screen and give you a random prize. So, if you do not win one of the jackpots, you can win a lot while just playing this game. Today a Mega Moolah jackpot often breaks a $3 million mark and hit every eight weeks on average. Try any of these staggering slot games, have fun and maybe you will make a killing on them! DEMO game of progressive slots isn’t available for free. 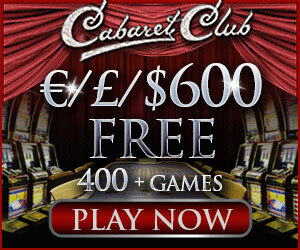 Please sign up to casino, if you want to play.